Sometimes in life, things happen that leave us wondering how it is that the world can keep turning. What would happen, though, if the world kept turning, but slower? 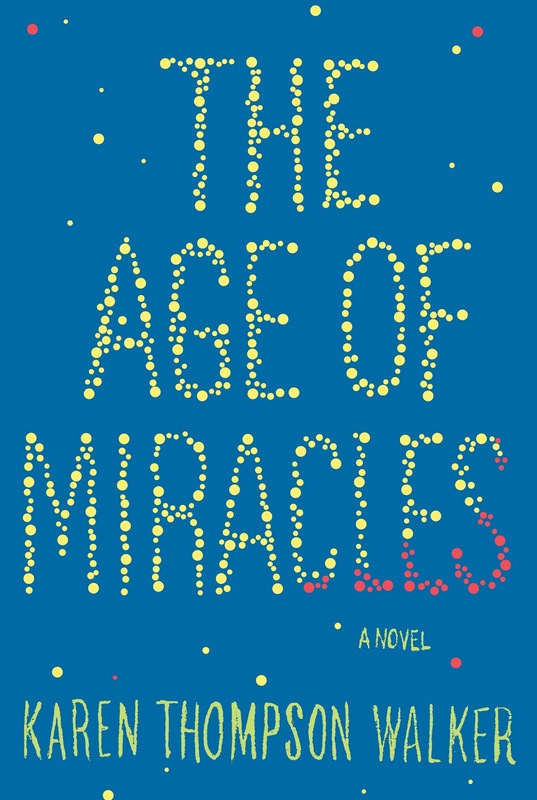 In this novel, Karen Thompson Walker imagines just such a world – a world in which the days and nights grow progressively longer because the earth begins to rotate more slowly by degrees, first adding mere minutes to each “day” and progressing until days (and nights) last for three, four, even five times the conventional twenty-four hours. The effects on people, wildlife, the food supply, tides, and life as anyone knew it are nearly catastrophic. And yet . . . life has a way of going on. Narrated by a now adult Julia (assuring the reader that the worst didn’t happen – at least not yet) recalling the year she was eleven and “The Slowing” began, this is not a science-fiction story. It’s not even quite a story of a dystopian future. It’s a coming of age story – a story about how, even when the whole world is thrown off kilter, spouses still commit infidelities, adolescent friendships still suffer their dramas, there are still training bras to buy and secrets to keep, and there is still the miracle of first love. Adolescence is still an amazing time of life. I really enjoyed this book, although to me Julia and her friends seemed more like thirteen and fourteen-year olds than eleven and twelve-year olds. Deftly imagined, it brings into sharp focus the things that are out of our control and remind us how small and mortal we are as a human race at the mercy of the universe, while also beautifully revealing the larger than life growing pains that adolescence brings.